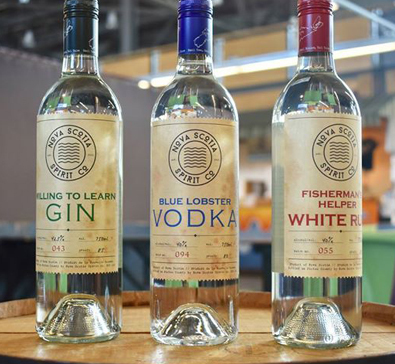 Nova Scotia Spirit Co. | Halifax Seaport Farmers' Market Ltd.
Nova Scotia Spirit Co. hit the market in 2015 with a focus on producing quality, small batch spirits at an everyday price. Since inception the company has created an internationally awarded portfolio of spirit brands, from being awarded the Nova Scotia Liquor Corporation’s Local Spirits Partner of the Year for 2016, to winning a Double Gold Medal and Best of Category at the 2017 American Distilling Institute Judging of Craft Spirits. Nova Scotia Spirit Co. is gearing up to make a splash this summer as they launch their Blue Lobster Vodka Soda Lemon Lime in a can.